The Freedom Trail folks updated and released a great new website in February 2011. 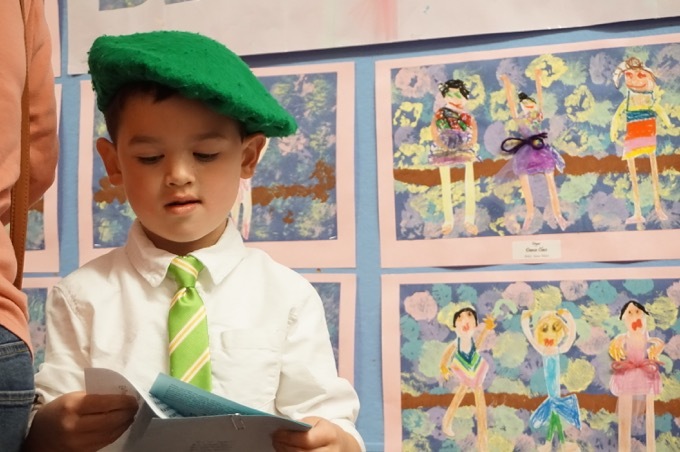 They cleared up a bunch of confusing entries and added info where info needed to be added. But they dropped the ball here, and I don’t know why. They combined this first entry (the house) and the third one (the cemetery) even though they are not close to each other. I am making the editorial decision to keep them separate. 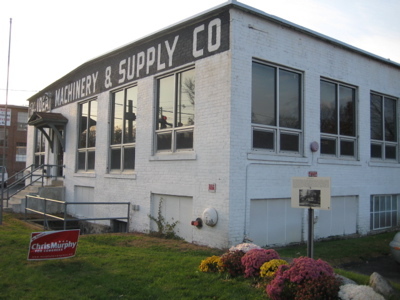 The Nortons hid escaping slaves in their Plainville house, which was demolished in the 1960s but is commemorated by a marker at the Ideal Machinery company at 109 East Main Street. 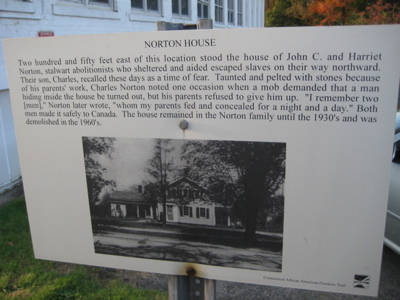 “Etched in Memory” by Charles Norton contains recollections of the family’s antislavery activities. This place is right in that crazy area of Plainville where Routes 10, 72, 372, train tracks and the worst onramp to I-84 all come together in a big mess. The Nortons are buried in the West Street Cemetery (below) which is why, I guess, the Freedom Trail folks combined the two. But what’s weird about that is that this nice handsome sign stands in the parking lot of Ideal Machinery and should be treated as a separate site to my mind. Oh well. A Charles Norton’s built a house called Sharpenhoe in town and it is one of Connecticut’s National Historic Landmarks. I’ve been there. 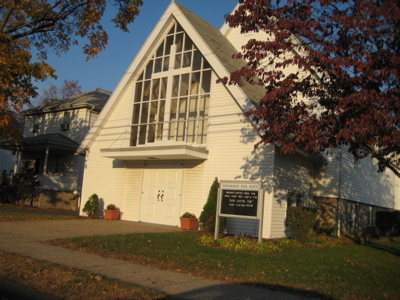 The Redeemer’s African Methodist Episcopal (A.M.E.) Zion Church represents a movement also evident elsewhere in Connecticut: the joining together of African Americans who were members of various denominations in town to establish a church which nurtured black leadership and generated community support. Organized in 1903, the congregation built its church structure a year later. Throughout this century members have been leaders in Plainville and have providers a voice for the black community. The drive north up 177 from Plainville to Avon is sort of strange. 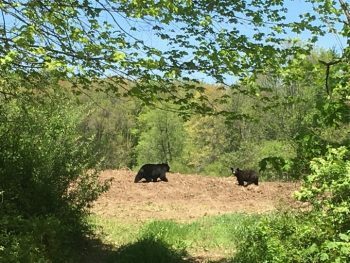 Once you pass Tunxis Community College, it suddenly becomes very rural. I recommend it if you’re ever in the area. 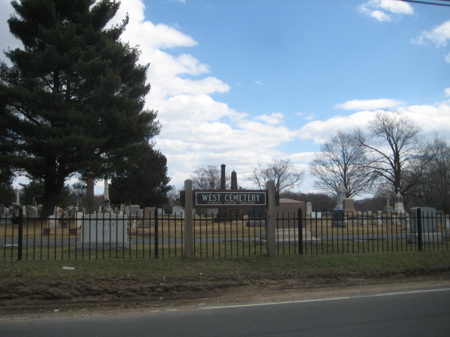 That’s West Cemetery on Route 177 (next to exit 33 off Route 72). It contains the graves of John C. and Harriet H. Norton. The Norton graves are midway back between the two driveways. Also located in the cemetery are the graves of five African American soldiers who fought in the Civil War with the all-black Connecticut Twenty-Ninth and the Massachusetts Fifty-Fourth Regiment.